Welcome to Ben Yehuda Cafe and Pizzeria. 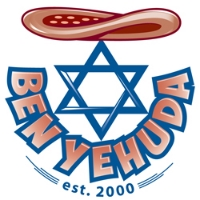 Located in Silver Spring, Ben Yehuda is a purveyor of top quality kosher pizza and salads. We are excited to announce that we are carrying Soupergirl soups! Ben Yehuda is certified kosher under the VAAD Harabanim of Greater Washington. Our entire menu is Yoshon and Pas Yisroel. All of our cheese, ice cream, milk, and butter are cholov yisroel, our ranch dressing and hot chocolate are not cholov yisroel at this time, though cholov yisroel hot chocolate is available upon request.